"From all of us at Betfair, enjoy the celebrations and hearty congratulations to Gordon and team! " Tiger Roll has made history by winning his second Grand National for Betfair Ambassador Gordon Elliott, who has now won the race three times. 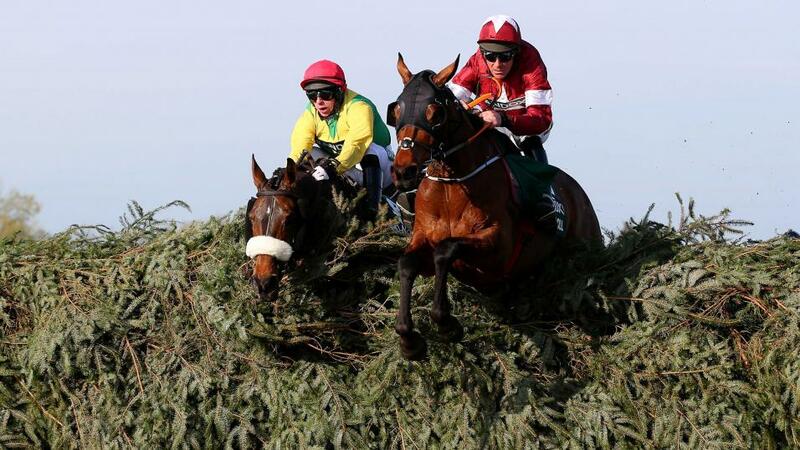 Tiger Roll is the first horse since Red Rum to double up in the Aintree showpiece. The diminutive chaser barely went above his starting price, touching a high of [6.6] in the run. It was a patient, calculated ride from Davy Russell, pushing clear late on to come home from massive outsider Magic of Light, who went off at bigger than [170.0] on the Betfair Exchange. Ruby Walsh was third on the well-fancied Rathvinden. Much of the talk in the week before the race centred on how short a price Tiger Roll would start the race, but in the end the 2018 champion went off nearer 5/1 than the 7/2 many had speculated (Betfair SP of 5.93). Nevertheless, Tiger Roll was the main focus of the betting, with £3.3m of the £10.5m wagered on the Betfair Exchange either backed or layed on Gordon Elliott's nine-year-old. The master trainer was effusive in his praise of Tiger Roll in his Betfair column, published on Friday afternoon, saying: "He's just the most amazing little horse and he's probably better than ever this season. He was very good when winning the Boyne Hurdle at Navan and at Cheltenham he was just amazing. He came out of Cheltenham in great shape and I'm delighted with the form he's in and you'd have to be hopeful about his chances given how he took to the National fences last season." From all of us at Betfair, enjoy the celebrations and hearty congratulations to Gordon and team! Winning owner gets the drinks in! Betfair's own Barry Orr was on a jubliant flight back to Dublin with winning owner Michael O'Leary as well as trainer and jockey, Gordon Elliott and Davy Russell. The drinks were on Michael!